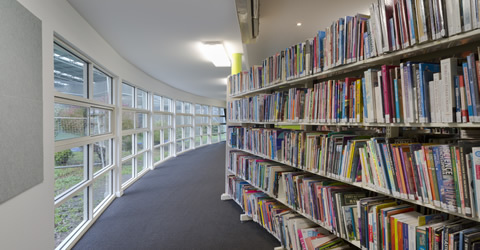 Construction of new Year 10-12 building and construction of a new Year 7 building as an extension to the existing library. 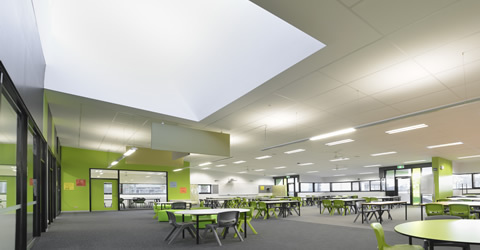 As part of this Stage, a new canteen and student lounge connected to the existing Food Technology area was constructed. 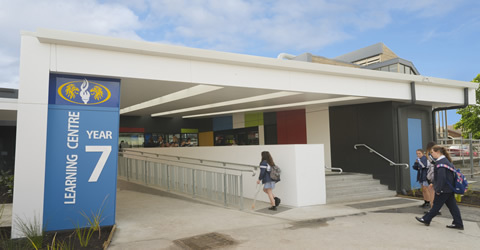 Stage 1 also comprised demolition of existing fire tanks at front of school and replacement of two fire tanks with booster connection to the Eastern site boundary. 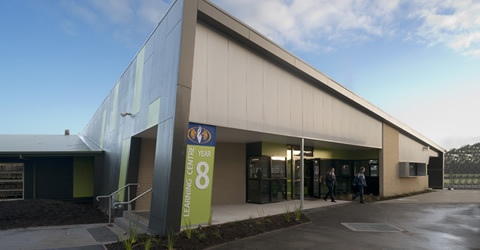 Construction of new Year 8 building as an extension to the existing Green House learning spaces and refurbishment of Green House spaces that will continue to be occupied. 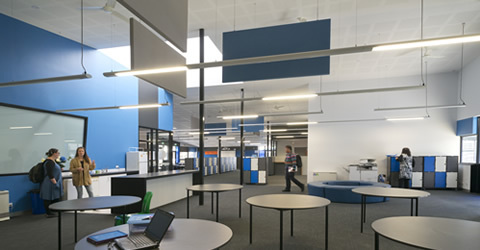 Some of the architectural features include thermal chimneys for ventilation efficiency, indoor and outdoor connectivity for optimal learning, interactive whiteboards, AV & WIFI and hearing augmentation technologies. 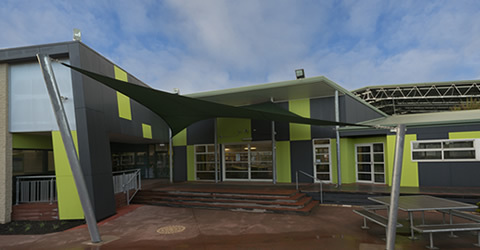 External features include two 135,000 litre fire storage water tanks constructed in accordance with AS 2419 & CFA requirements, steel sun hoods to the East elevation of the Year 8 building and feature colours applied to the cement sheet to visually distinguish the individual new buildings.